Buddhism – historically the first world religion. And yet, as Borges said, is “the most widespread religion in the world”. In Russia, the earliest penetration of Buddhism was characteristic of the Kalmyk people, who took more than 400 years ago. On the 6th of November according to the Lunar Calendar the whole Buddhist world celebrates one of the most important holidays – Buddha’s Descent from Tushita Heaven. 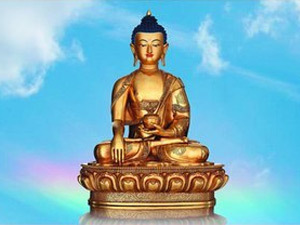 The central khurul ‘Golden Abode of Buddha Shakyamuni’ invites Kalmyks to a prayer service dedicated to an important Buddhist holiday which is included into “The Twelve Deeds of Shakyamuni Buddha”. November 6, 2012, in the city of Elista, in club “Mandjushri” will be a meeting on “Pilgrimage as the accumulation of merit”. In July all the Buddhist of the world celebrate a huge holy day – the First Turning of the Wheel of Dharma. The ceremonial events take place in the central buddhist temple “Golden Abode of Buddha Shakyamuni“. On the 23rd of July all the Buddhist of the world celebrate a huge holy day – the First Turning of the Wheel of Dharma. The ceremonial events take place in the central buddhist temple “Golden Abode of Buddha Shakyamuni“.